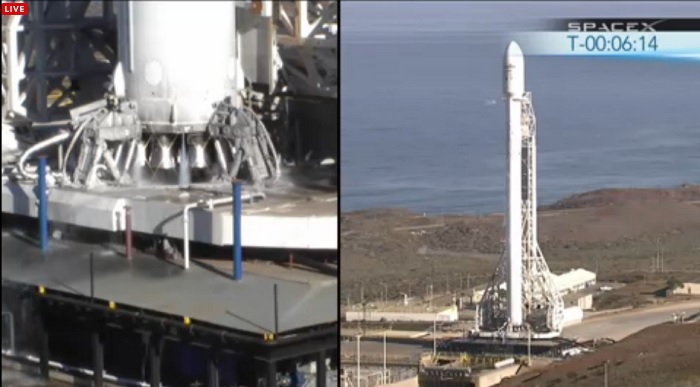 The highly anticipated Falcon 9 rocket’s West Coast debut is planned for Sunday morning from Vandenberg Air Force Base, where it could become the third blastoff in eight days. Air Force officials confirmed the Falcon 9 rocket, developed by Space Exploration Technologies, is scheduled to launch during a window opening at 9 a.m. Sunday. 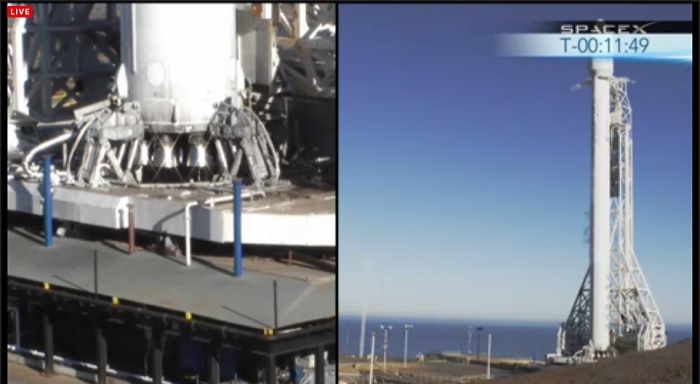 Other sources have said the launch window will remain open until noon. 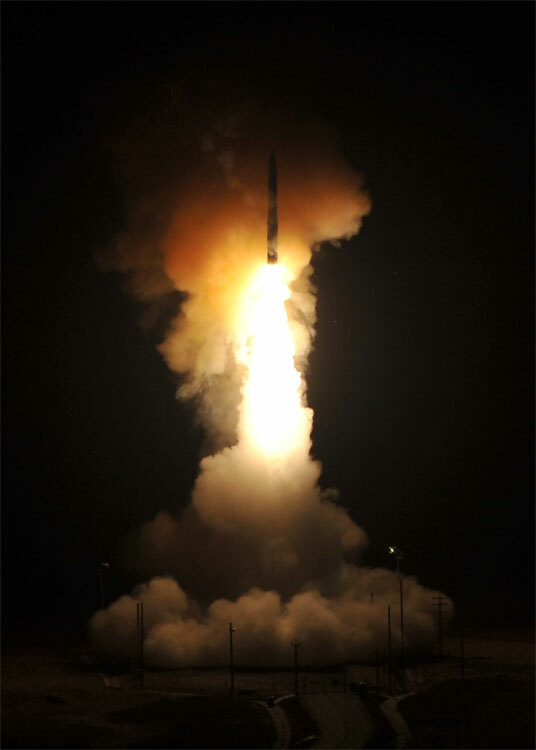 The base kicked off the week with a Minuteman 3 test Sunday and a second Minuteman 3 test was scheduled for early today. 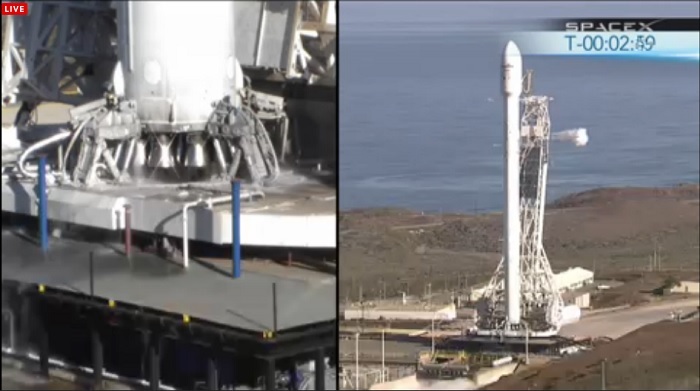 upgrades since its last launch from Cape Canaveral, Fla. 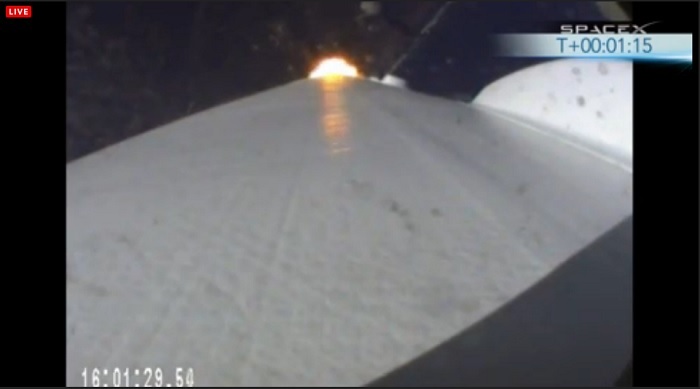 The rocket will carry a small payload into orbit for the Canadian Space Agency. 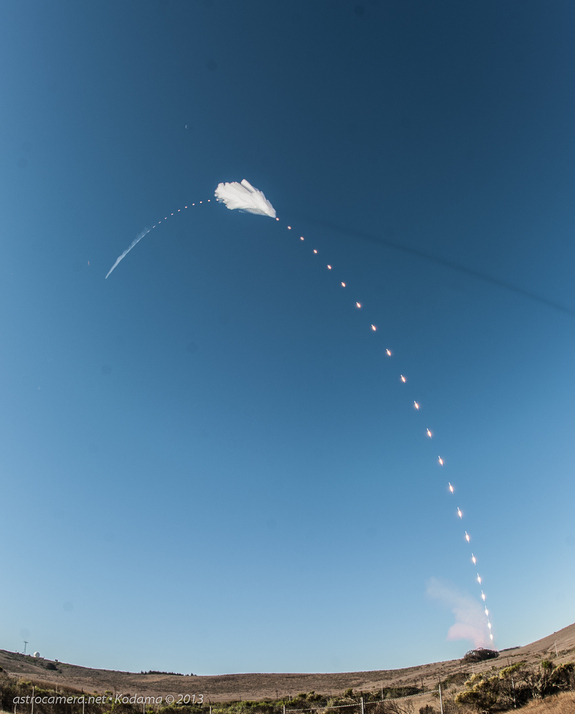 The 30th Space Wing’s 1st Air and Space Test Squadron is the lead for all launch site certification activities at Vandenberg for SpaceX, which hopes to be added to the government’s Evolved Expendable Launch Vehicle program. 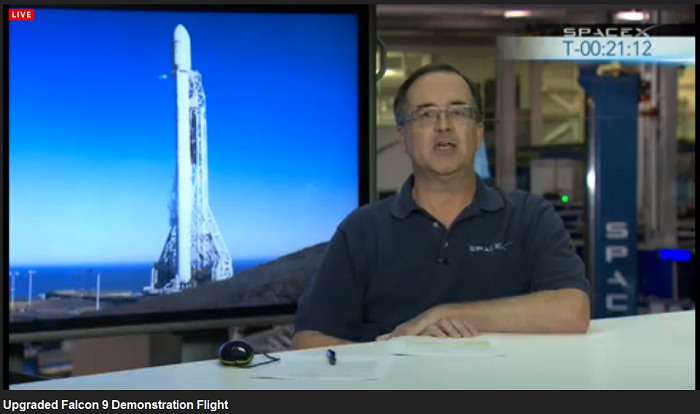 Currently only Atlas 5 and Delta 4 rockets can bid for EELV missions. 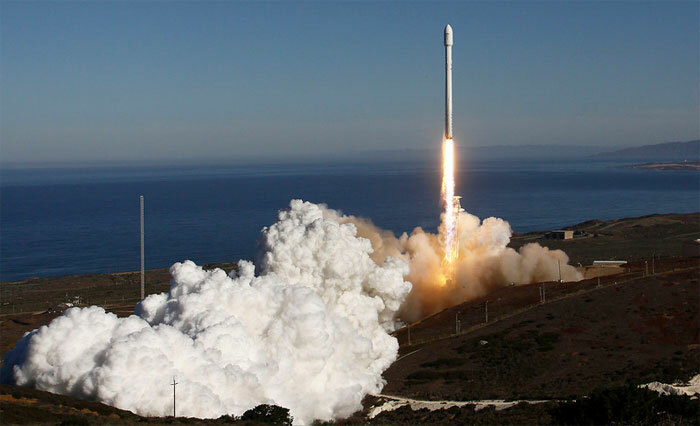 Under the authority of the Space and Missile Systems Center, the squadron is evaluating SpaceX’s flight and ground systems, processes and procedures for this inaugural space launch campaign for the upgraded Falcon 9 rocket. 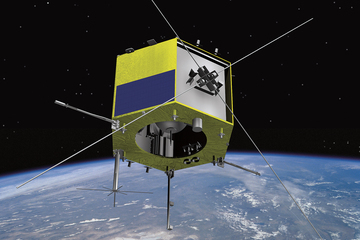 Artist's concept of the Cascade Smallsat and Ionospheric Polar Explorer (CASSIOPE) satellite. Credit: MacDonald, Dettwiler and Associates Ltd.
A new space-weather satellite could help better protect Earth's infrastructure from damaging solar storms, officials from the Canadian Space Agency (CSA) say. The CSA's Cascade Smallsat and Ionospheric Polar Explorer (CASSIOPE for short) will keep an eye on the effects of solar particles when they hit the Earth's atmosphere. If all goes well, the CASSIOPE space weather mission should bring a wealth of scientific data, the mission's backers say. 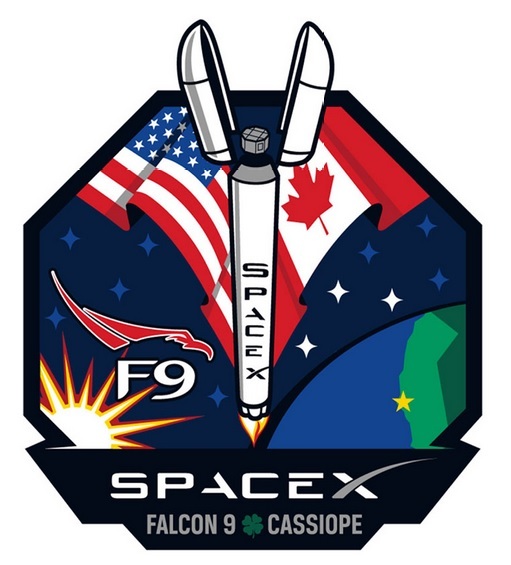 CASSIOPE is expected to launch to a low-Earth orbit Sept. 29 riding atop the first flight of the private spaceflight company SpaceX's next-generation Falcon 9 rocket. 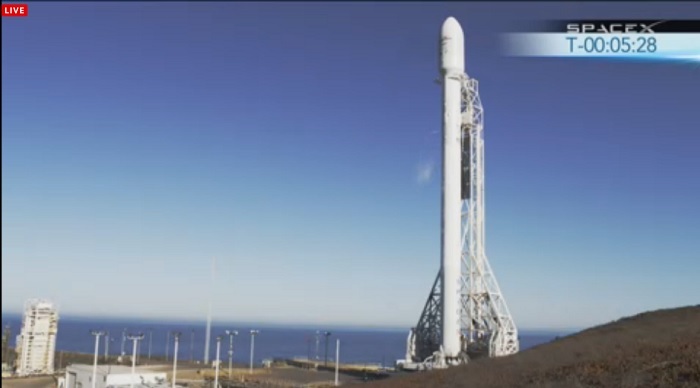 The rocket will launch from SpaceX's launch pad at Vandenberg Air Force Base in California, with the launch window opening at 12 p.m. EDT (1600 GMT). The satellite has a primary mission of 18 months; however, investigators hope to get five years of research completed before the satellite falls back through Earth's atmosphere. On a satellite that is only a bit larger than an office desk — 4 feet by 6 feet (1.2 meters by 1.8 meters) — CASSIOPE carries eight scientific instruments. These tools will investigate what happens after particles and plasma from the solar wind interact with the Earth's atmosphere. The instrument suite is called ePOP, for Enhanced Polar Outflow Probe, and is led by the University of Calgary. An instrument called the fast auroral imager will use two cameras (in the visual and near infrared) to examine the fine structure of auroras. An imaging and rapid-scanning spectrometer will simultaneously observe what kinds of charged particles, or ions, are in the atmosphere. Meanwhile, a superthermal electron imager will show how fast the electrons are moving and where they're going. 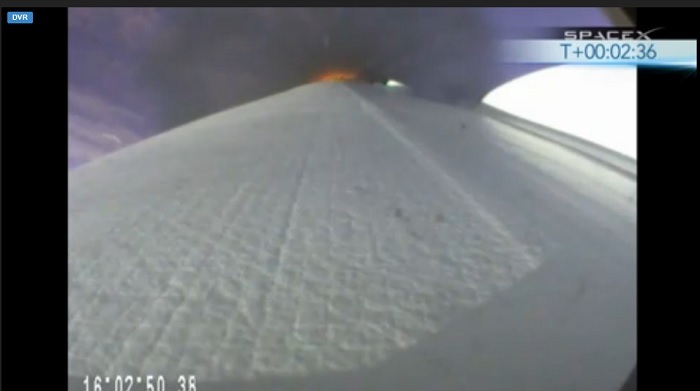 "It's a picture of what the plasma is doing around the spacecraft," Greg Enno, a technical manager for the scientific suite at the University of Calgary, told SPACE.com. Studying the small auroral structures — only a few dozen feet in size — will give an idea of how energy transfer takes place within the shimmering lights. Other Canadian instruments on board include a radio receiver used to watch plasma waves and a flux gate magnetometer to study the magnetic field. A GPS experiment will accurately clock the time in which events occur as well as the orientation of the spacecraft. 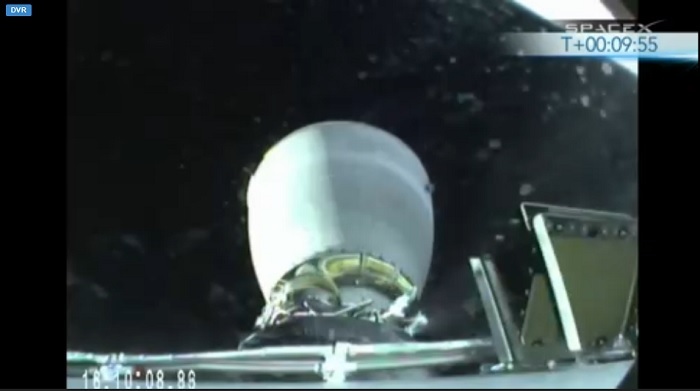 It will also measure electron content by watching other GPS satellites rise or set behind Earth. Then it will determine how the signals change as they skim through the atmosphere before being blocked by Earth itself. CASSIOPE will also carry two international payloads. The Japanese Aerospace Exploration Agency (JAXA) has a neutral mass spectrometer that will examine how neutral particles behave relative to the surrounding ions and electrons. 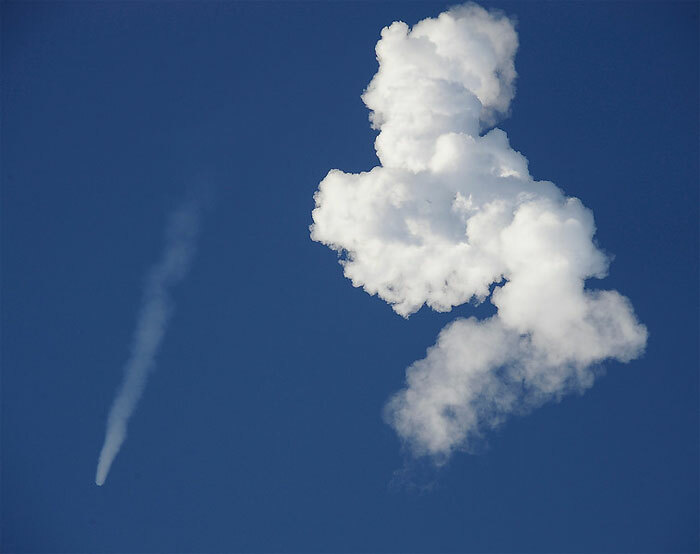 The U.S. Navy also provided a transmitter that will interact with several ground-based receivers, again to measure electron content in the atmosphere. CASSIOPE is also a pioneer in another sense. On board will be Cascade, a technology demonstration communications payload that will showcase a "space-based digital courier service," according to information from Canadian company MacDonald, Dettwiler and Associates (MDA). Cascade Data Services (a subsidiary of MDA) will use the communications payload to pick up large digital packets of information, anywhere from 50 to 500 gigabytes at once. Then Cascade will beam the data down to interested customers when the satellite passes over a receiving station. As part of a reimbursable contribution agreement between the space agency and MDA, the CSA will receive a percentage of Cascade's commercial revenues, as royalties, to repay the agency's contribution. It's the first time CSA has ever used such a government contribution mechanism, Kroupnik said. "This does not mean we will replace contracts with contributions. It depends on the particular situation," said Kroupnik, adding that this mechanism would most likely be used in the future if "the government of Canada is not a direct beneficiary and user of the data and services." The agency could use a similar contract arrangement for data services associated with the RadarSat Constellation Mission, a trio of satellites set to launch in 2018. The satellites will be used for matters such as surveillance and weather monitoring. 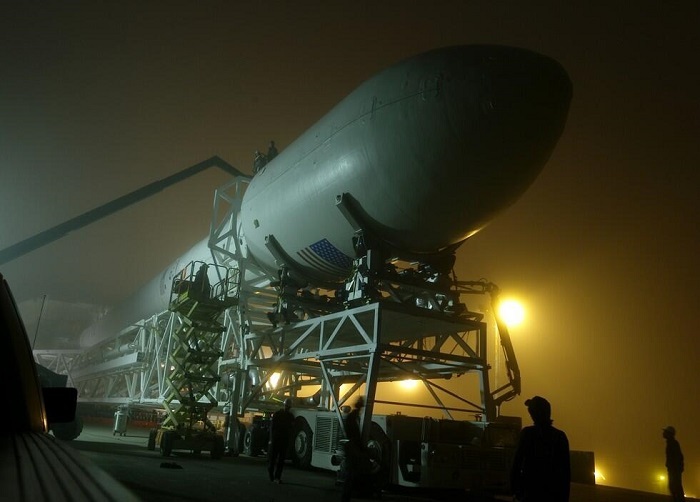 SpaceX's first upgraded Falcon 9 rocket, a Falcon 9 v1.1, rolls out to its launch pad at Vandenberg Air Force Base in California for a September 2013 launch debut. 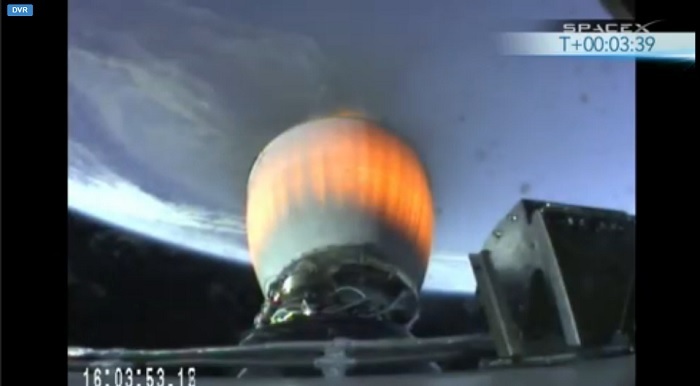 With anticipation and anxiety high, the Falcon 9 rocket blasted off this morning from Vandenberg Air Force Base for its West Coast debut. 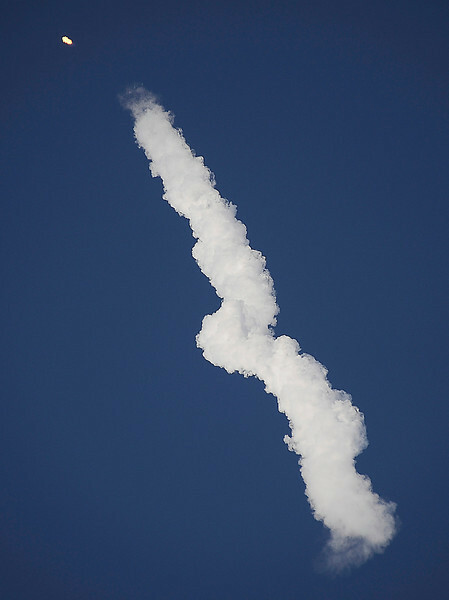 The Space Exploration Technologies rocket, which stands about 22 stories high, blasted off about 9 a.m. from Space Launch Complex-4 on South Base. 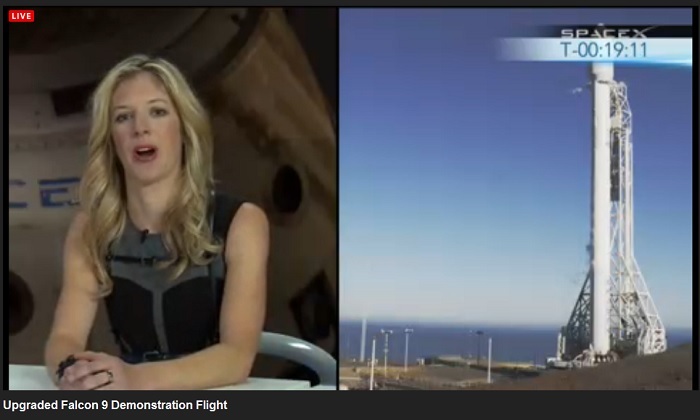 The results of the launch were not immediately available and were still being assessed. 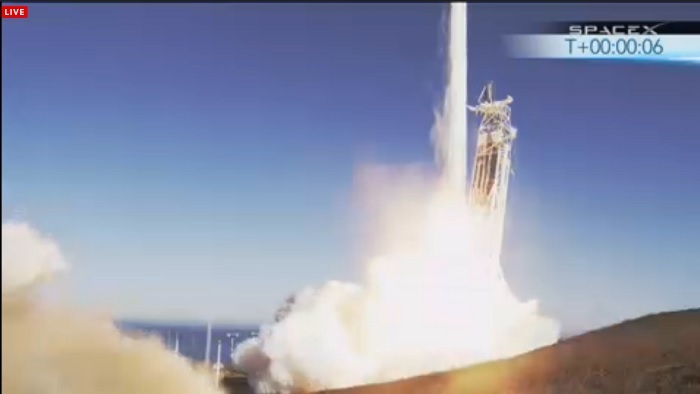 The rocket was designed and built by entrepreneur Elon Musk’s Hawthorne-based firm. Musk also founded PayPal and more recently the Tesla electric car company. Although the mission was to prove the rocket’s capabilities, Falcon’s cargo was the Cascade Smallsat and Ionospheric Polar Explorer, or CASSIOPE, built by MacDonald, Dettwiler and Associates Ltd (MDA) of Canada. Officials say CASSIOPE’s mission is to prove a new design for a Canadian satellite frame that carries a scientific experiment and a technology demonstration. MONTREAL - The Aurora Borealis, those beams of light that dance across the northern sky may look pretty, but a Canadian satellite is about to study a nasty side lurking behind that beauty. 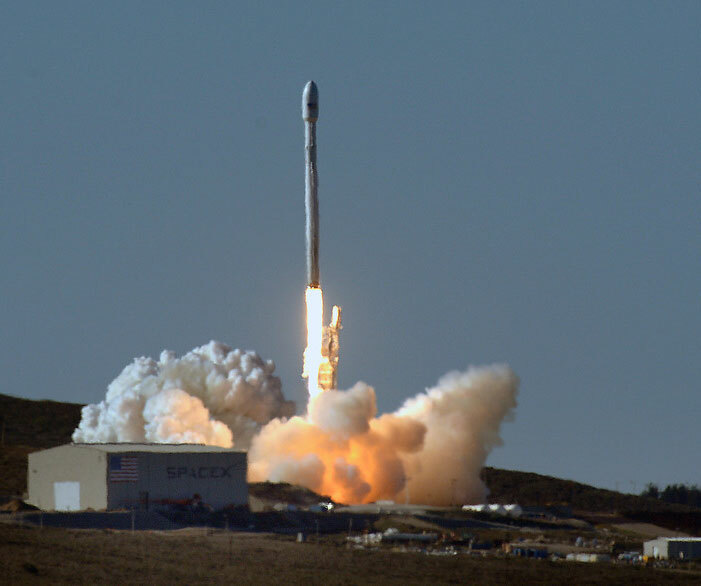 The small hybrid satellite, with a multi-purpose mission, blasted off on Sunday from Vandenberg in California on board a Falcon 9 rocket developed by SpaceX, a commercial space company. The Canadian Space Agency became one of SpaceX's first customers when the agency decided years ago to use the private U.S. rocket to deliver the satellite at a reduced cost of $10 million. It cost the space agency $63 million to develop the satellite. Its scientific payload will take a closer look at the Earth's upper atmosphere and allow scientists to collect new data on space storms. Greg Enno, of the University of Calgary, says the CASSIOPE (Cascade SmallSat and Ionospheric Polar Explorer) satellite will focus on the interaction between the sun and the ionosphere (the upper atmosphere). More specifically, it will study the effect of solar storms on radio communications, satellite navigation and other ground-based technologies. "Because the sun sends out big plumes of energy from its surface and they wallop our atmosphere and its magnetic field and affect GPS users — especially aircraft,'' Enno explained in an interview. "It actually changes their position. And that's one of the reasons why we can't use GPS to land aircraft. When plasma and particles from the sun enter the upper atmosphere they usually cause the stunning northern lights, but they also affect things like hydroelectricity systems and GPS users. In 1989, it caused a blackout in Quebec for several days. Enno said data collected by CASSIOPE during its two-year mission should make it a lot easier to predict the impact of solar storms on Earth. "The biggest winners from our sets of data is the GPS industry because their measurements may be accurate enough so they can use it for all sorts of stuff like landing aircraft, but also Hydro people because they don't want to be surprised and have a network go down," Enno said. CASSIOPE's science mission, which was developed by 10 Canadian universities, will also study the workings of the atmosphere, which has been losing mostly hydrogen and helium gases — and oxygen. But Enno stressed that we shouldn't worry. "The Earth's plants have not reached equilibrium yet," he said. "They're still putting more oxygen in the air than we're losing." Enno said scientists who study the Earth's atmosphere want to get a better idea of what it will look like down the road. "If you look at the Martian atmosphere and looking ahead in time, is that what the Earth's atmosphere will look like eventually, or will we have something else entirely?" The 450-kilogram satellite also carries the Cascade technology demonstrator, which is described as a courier system in the sky for very large data files. Dave Cady, an executive vice-president at MDA, the satellite's prime contractor, said Cascade will help to deliver data from ships at sea that are involved in oil and gas exploration. "You have ships out on the ocean and they tend to be working in fairly inhospitable places where there's not a lot of Internet infrastructure." Normally, Cady said, ships put large data files on software that is sent by helicopter to places like Houston and London for geophysical analysis. "So, instead of having a helicopter courier, the ship would have a small antenna which would track CASSIOPE and the data would be uplinked as the satellite flies overhead," he said in a recent interview. "Then it would be stored and downlinked when the satellite flies over Houston or London." Wow! Photographer Captures SpaceX Falcon 9 Rocket Launch Like Never Before. 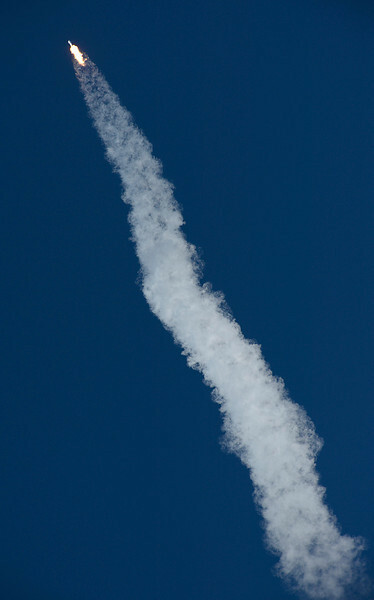 Photographer David A. Kodama took this composite image capturing the unmanned, next-generation Falcon 9 rocket launch trajectory as it blasted off from the SpaceX launch pad at Vandenberg Air Force Base, Calif. at 12 p.m. EDT (1600 GMT) on Sept. 29. A photographer's road trip to see SpaceX's first Falcon 9 rocket launch from California last month led to this striking composite photo recently released to SPACE.com. In the image, photographer David A. Kodama captures the SpaceX rocket launch in stages, from liftoff through its ascent into orbit. 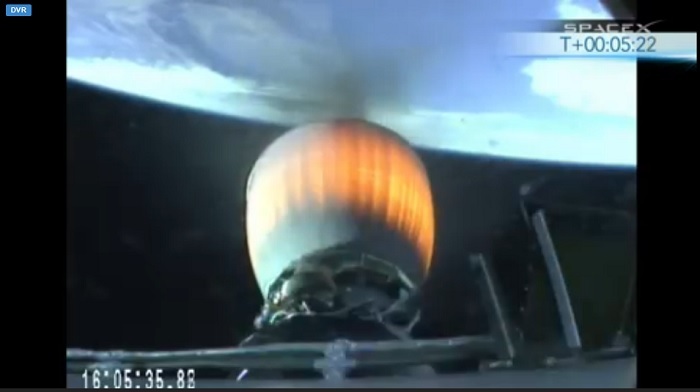 SpaceX launched the first of its upgraded unmanned Falcon 9 rockets on Sept. 29 from Vandenberg Air Force Base in California. 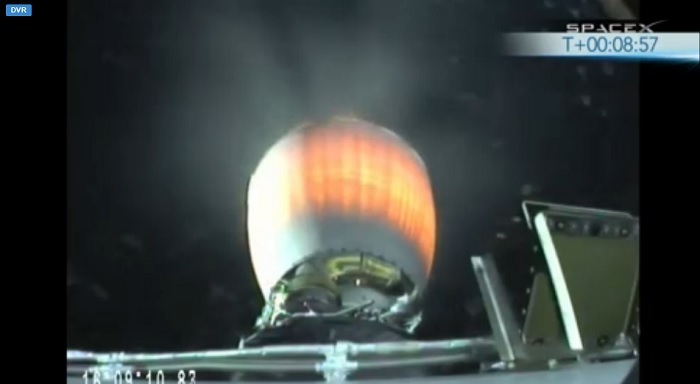 The rocket launched the CASSIOPE space weather tracking satellite into orbit for the Canadian Space Agency.